Life after thyroid surgery — whether your thyroidectomy is due to thyroid cancer, goiter, nodules, or hyperthyroidism — usually involves a thyroid scar. 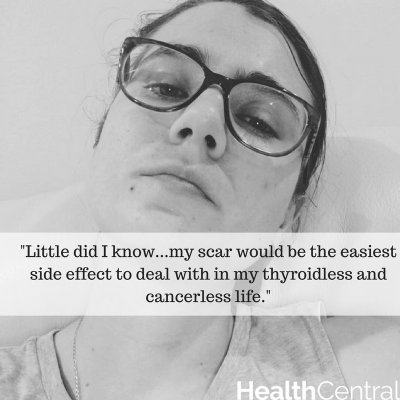 As part of our “Thyroid Scar Wars” series, we asked thyroid patients to share their own scar photos, captions, and war stories about thyroid surgery. 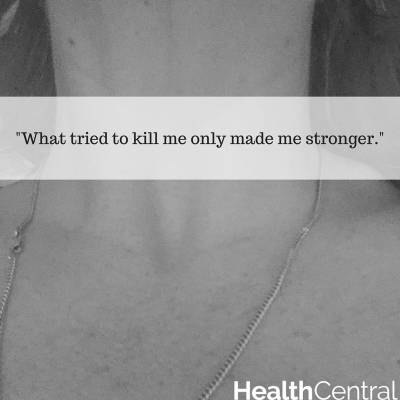 We hope you are inspired by the strength of these true thyroid warriors. 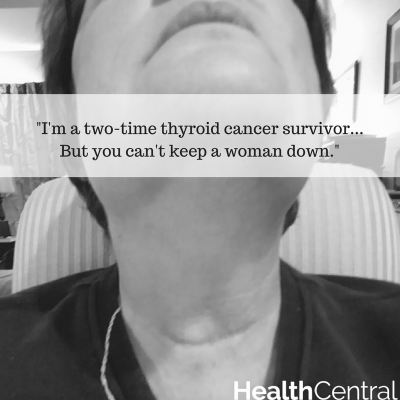 “I’m a two-time thyroid cancer survivor. 1982 is on the left and 1997 on the right. But you can't keep a good woman down! 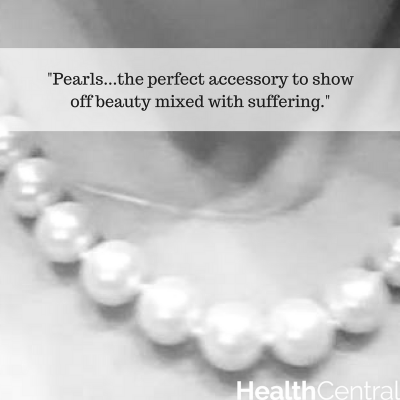 — Mary W.
“These pearls were worn to my ’thyroid cancer-free’ dinner. 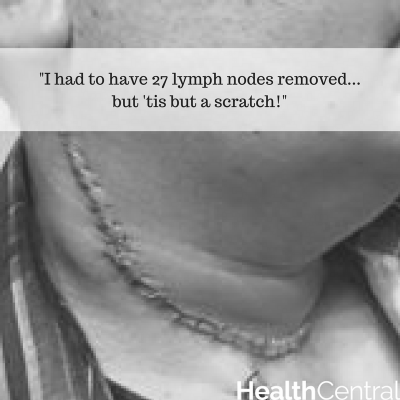 I think they are the perfect accessory to show off beauty mixed with suffering.” — Angela L.
“I had to have 27 lymph nodes removed. It took about five hours, but ‘tis but a scratch!” — Guy C.
“Can you see both of them? The first is from 1969 when I was 19. They took out the left side. 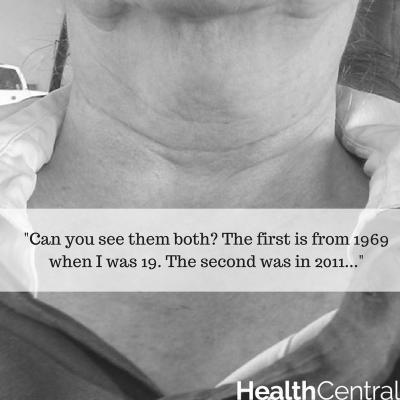 The second was in 2011 when they took out the right side.” — Alicia M.
“I had six thyroid nodules removed, along with most of my thyroid, seven years ago. The scar was so ugly when I had it done the surgeon wanted to go back and try to fix the scar. ‘No way!’ I said. I used Mederma daily and kept it out of the sun for six months. Now you can barely see it.” — Mandy S.
“This is my picture last summer right after surgery and then this summer, exactly one year after surgery. 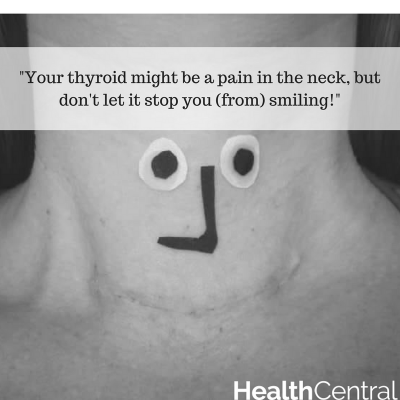 I was super vain about my scar at first, but over the year it has faded quite a bit and now kind of fades into the rest of my neck folds, LOL!” — Jessica H.
"Your thyroid might be a pain in the neck, but don't let it stop you (from) smiling!” — Georgia W.
“I had a total thyroidectomy due to thyroid cancer. Before my surgery, I was so worried about what my scar would look like and how it would heal. It's been less than three years, but I already can barely see it! Little did I know back then that my scar would be the easiest side effect to deal with in my thyroidless and cancerless life!” — Rebecca I. 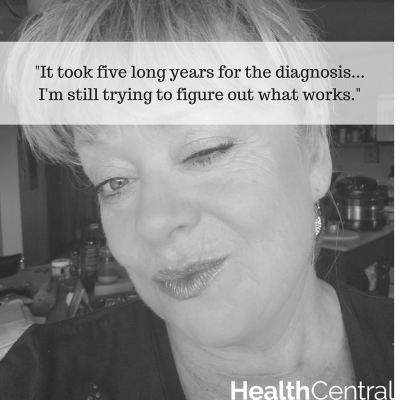 “It took five long years for the diagnosis and now it’s three years out after surgery — still trying to figure out what works!” — Deb B. “I had a thyroidectomy in 2003, performed by the best neck surgeon in Philadelphia. 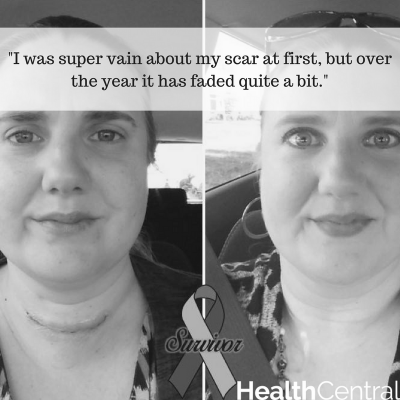 Do you even see it?” — Susan F.
“What tried to kill me only made me stronger ... Here’s my nearly-invisible scar, three years after a total thyroidectomy.” — Cara R.
If you have had a thyroidectomy, you are a true thyroid warrior! 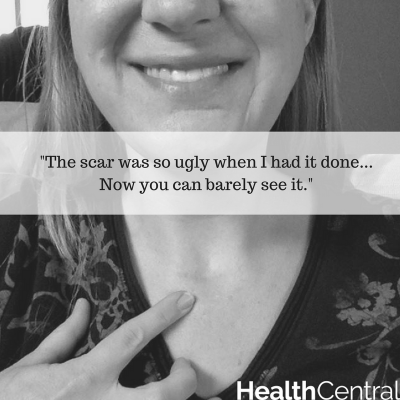 Please share a photo of your thyroid scar and add a clever or compelling caption using the hashtag #ThyroidScarWars. 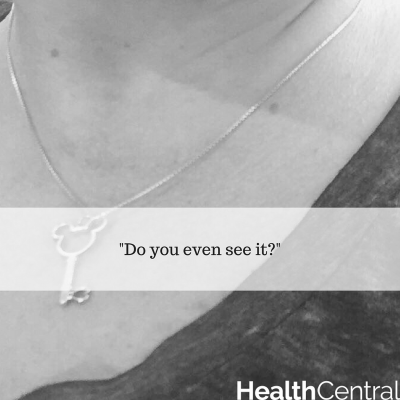 You may appear in a future HealthCentral post!